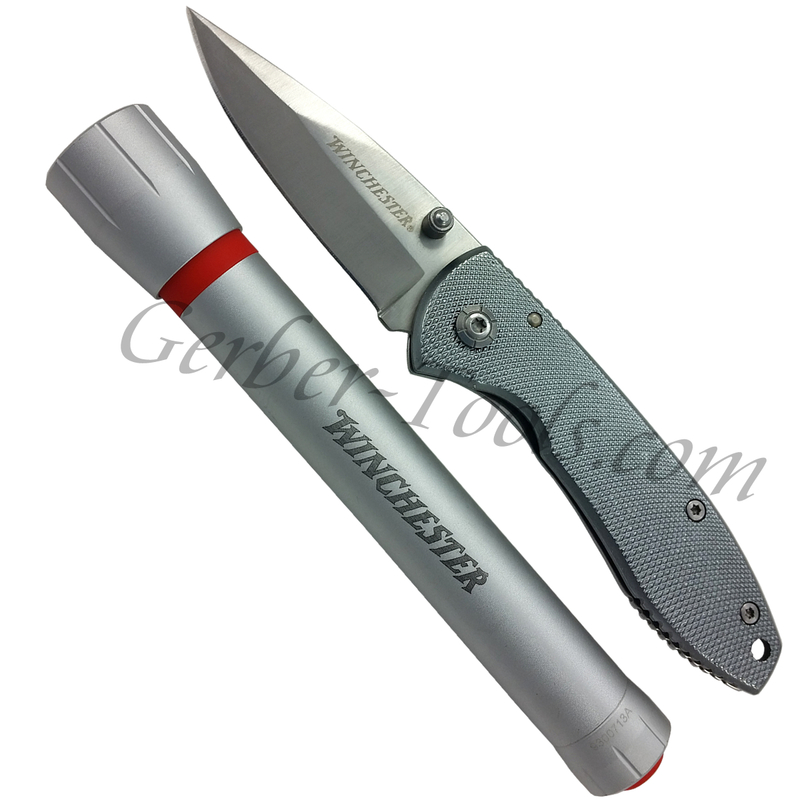 This Winchester Clip Knife and Flashlight Set features a 6.25 stainless steel manual folding knife and 5 1/2 anodized aluminum task light. For easy opening, the knife blade has ambidextrous thumbstuds and liner lock in the handle to hold the blade securely in place. This knife has a really cool look with the Winchester name etched into the blade and checked stainless steel pattern on the handle. Pocket clip makes this knife perfect for everyday carry. The Winchester 5 1/2 task light is made of anodized aluminum with red accents and the Winchester name etched into the handle. On/off button is located at the end of the light where the 2 AA batteries can be installed. This flashlight produces a 9 meter beam of light that can last up to 23 hours.